Rev. Martin Boardman, PRMI Prayer Mobilizer, here with some discernment. 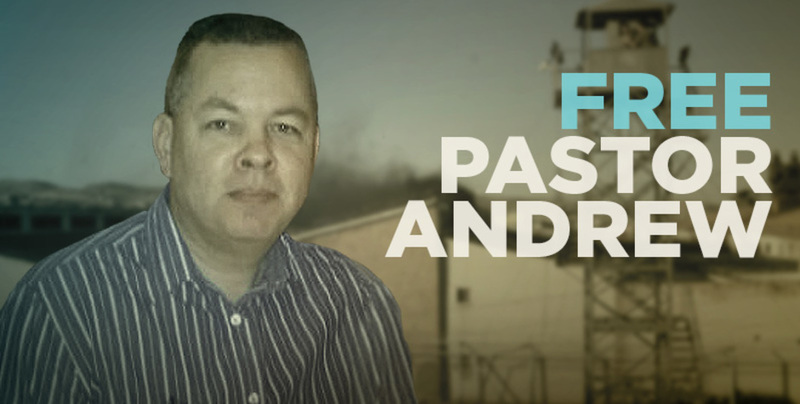 The release of Andrew Brunson from Turkish Prison to house arrest on July 25, 2018, is a miraculous answer to prayer. We may even see Andrew able to return to the United States in the foreseeable future. However, on July 31, 2018, I heard he has been denied release from house arrest. No further details yet, but he may have to remain in Turkey until his trial. His next appearance in court is slated for sometime in October. As we watch the answer to prayer unfold before our eyes, it is exciting and certainly a cause for praise and thanksgiving. 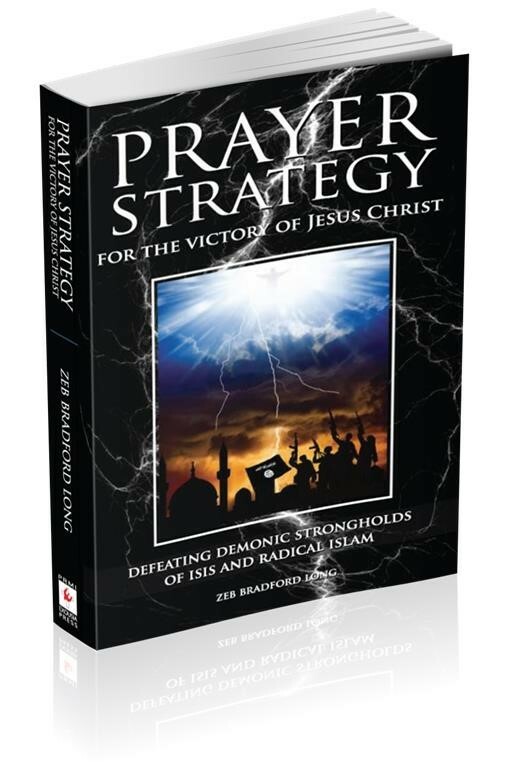 There is a danger that the movement of prayer which has arisen around Andrew, having united Democrats and Republicans in America and gone global, will now simply fizzle out. On a political level, it appears that his release is an attempt by Turkey to appease the US Congress from imposing further sanctions against Turkey. On a spiritual level, though, his release may be a scheme of the enemy intended to quell the wave of prayer directed at Turkey. Our united prayer threatens Kingdom breakthrough in the land. During the past few weeks it seems that prayers have not been answered. Following the elections in Turkey, President Erdogan gained power rather than losing it. Andrew was not released either, and his continuing trial in July did not result in his release but rather return to prison and further delay until October. In each of these situations it felt as if the prayers from God’s people had not succeeded. At the same time, the results were not really a surprise and served as a rallying cry for more prayer and intercession. Now, though, it seems like our prayers have been answered, at least in part. Andrew was moved from prison to house arrest. He is still a prisoner, but he can at least be surrounded and comforted by his family. However, intercessors may feel less of an urgency for prayer and intercession. I remembered that at every opportunity during the trial Andrew has stood and testified about the gospel. He has proclaimed it every time he has been questioned. It is clear that he is in chains because of the gospel, just like the apostle Paul, who also spent time both in prison and under house arrest. The focus of the prayers for Andrew has been upon his release, and rightly so. But as I continued praying for Andrew and sought understanding about what the Lord meant by the gospel in Turkey, a picture came to my mind. In the picture a group of people were attacking what looked like a medieval fortress or castle. It had a large, fortified gate in front, while around the walls were placed vertical slit windows, typical of those you might see in a castle. Muslim style fortress: By A. Savin (Wikimedia Commons · WikiPhotoSpace) [FAL], from Wikimedia Commons, public domain. The people in the attack were focusing their efforts upon a slit window in the wall rather than upon the fortified gate. I got the sense that Andrew was imprisoned behind the window. As I reflected and prayed into the picture, I sensed the focus of the group’s engagement on the slit window was wrong. Rather than attacking a window, they should instead have attacked the fortified gate. Then everyone in the group could enter the fortress with the gospel. In my picture, prayer focused on Andrew’s release was imaged as attacks against the window. What was missing in the picture was an attack on the fortress gate, which would lead to entrance within the walls. With the fortress gate forced open, many people could not be prevented from going in. The gospel would be able to move freely into Turkey without hindrance. We received a word about Turkey in April during the Spiritual Warfare Dunamis at the Community of the Cross. The word said that Istanbul, Turkey, is a gateway city leading from Europe into the Muslim world of the Middle East. In addition, Turkey is a gateway nation for the gospel to flow into the Muslim world. Our battle, while centered around Andrew, is greater than him. It is really a battle about the gospel going to Turkey. Up to now, though, Andrew has been the focus for our prayer. At this point, Andrew remains under house arrest, even though not directly in prison. The charges continue to stand against him. Because of that, we have a legal right to pray and storm the gates of the fortress. Note: The enemy may have caused Andrew’s release to diminish the prayer assault upon the fortress. Instead, prayer needs to continue for Turkey and for the believers in Turkey who will spread the gospel message. This region has a Christian heritage as it is the site of the seven churches of Revelation. At one point it was a centre for believers. The enemy is determined to keep the heritage of this region from being reclaimed and the gospel advanced. Now more than ever is a time to pray. The Lord has given us a model of cohorts—small groups of intercessors, each with a specific focus. Cohorts can be used to pray into and pull down strongholds that the enemy has erected against the gospel. Is the Lord calling you to be a part of such a cohort? To receive more information about joining a cohort to pray for Turkey, sign up using this link: Cohort Signup. Please be led by the Holy Spirit as you pray for Andrew and for a movement of the gospel in Turkey. Pray for Andrew as he adjusts to being out of prison and back with his family. Pray for strong protection for Andrew and his family while they remain in Turkey. Pray for wisdom for the lawyers and government officials who are working to secure Andrew’s return to the United States. Pray that the Lord would give us understanding about the background and history of the seven churches, and specifically what ground was yielded to the enemy. Pray that the demonic cloaking would be pierced so that the structure of current demonic/human strongholds may be discerned in Turkey. Pray for the church in Turkey and for Turkish believers to be strong in their faith and resilient against increasing opposition. Pray for discernment in establishing cohorts to pray through the strongholds which are present in Turkey. Pray for wisdom in knowing how to move forward with a possible PRMI prayer endeavour in October of 2018. We believe the Lord may be calling us to send a team to Turkey to visit the sites of the 7 churches in Revelation 1-3. Such an event would fit into a Kairos moment of opportunity that God the Father may be sending in response to two years of intensive prayer. The map below reveals the strategic significance of the 7 ancient churches. The location of the seven churches of Revelation 1-3 in modern day Turkey.By Szajci from Wikimedia Commons, public domain. 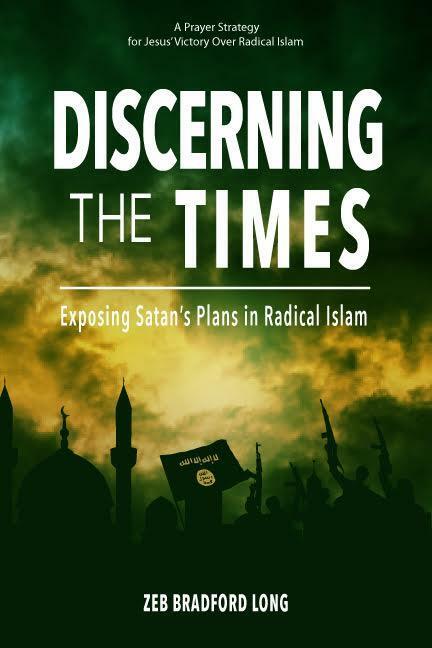 As always, if you do get discernment, please share it. Martin—As you know, Pastor Andrew and his family are members of Christ Community Church-Montreat! His parents, Ron and Pam, served as missionaries in Russia, Pakistan, & Mexico! They are all certainly spiritual mentors in their races of faith! I personally, as well as others, heard Pastor Andrew speak several times about his feelings that God was not usIng him fully to reach the harvest in Turkey (prior to his return to Turkey two years ago). Those prayers are being answered! His family have always called for the release of the Gospel as well as Andrew’s release in God’s Will and purposes! You are right on target! I would want all of the PRMI prayer intercessors to know that Pam said she did not want Andrew’s release before the July court date because she wanted him to have a chance to declare The Gospel and that it would spread from Turkey to all nations! Those prayers are being answered, too! We need to keep praying! Thank you for your Holy Spirit Leading in this! I am going to forward this message to Pam! She will be so encouraged! A wise, “eyes wide open” word. Praying with you. praying for the strengthening encouraging presence of the Lord to manifest in Andrew with greatness as He walks out God’s kingdom purposes in Turkey. Praying also for strength and encouragement to all His loved ones….. that the victory will be God’s alone!